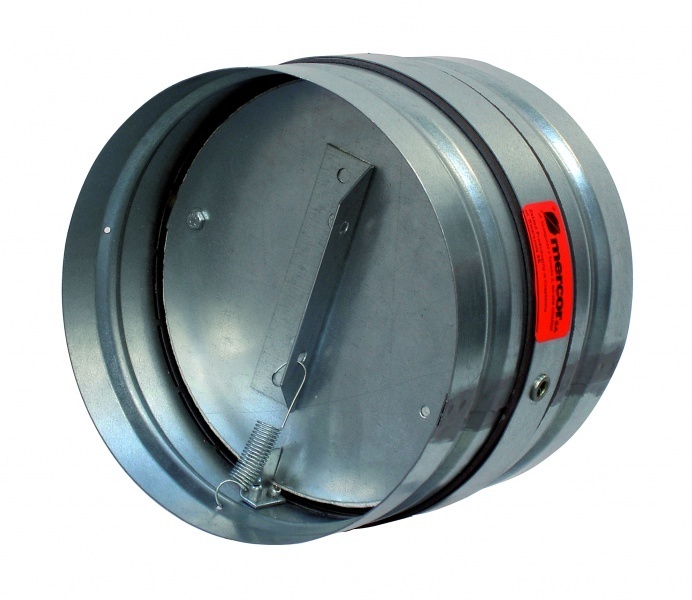 mcr FID PRO is a single-plane shut-off damper and for fire ventilation systems. 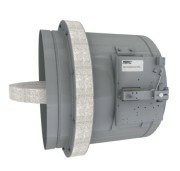 Depending on the version, FID PRO dampers are designed for installation in general ventilation systems (S version), in fire ventilation systems (V version) and in installations where ventilation ducts fulfill two functions – general ventilation and smoke exhaust ventilation (M version). 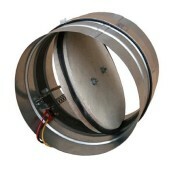 – mcr FID PRO / S; mcr FID PRO / V; mcr FID PRO / M – round flap in the flanged version. The mcr FID PRO fire dampers are manufactured only as circular flaps with diameters from 100mm to 315mm. In addition to standard dimensions, it is also possible (on a special request) to manufacture intermediate dampers. – MERCOR type KW1 release and control mechanism with integrated 72 ° C thermal trigger. – MERCOR release and control mechanism type KW1 without thermal trigger 72 ° C.
– release and control mechanism in the form of an axial actuator without a BELIMO BE-series return spring for 24V AC / DC or 230V AC voltage without a thermoelectric release. Optionally, thermal or thermoelectric triggers with different operating temperature can be used in mcr FID S flaps. The weight of the RST damper. In the case of flaps with actuators or KW1 mechanisms, the mass of the drive must be added to the mass of the damper. The manufacturer makes dampers on request.